Must listen to whole series!! 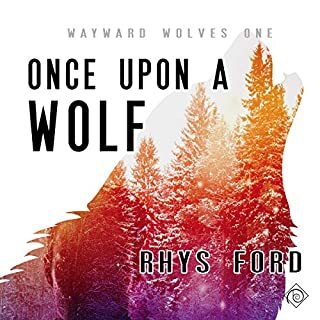 Loving a werewolf - loving Gibson with all his secrets - has its challenges, but Zach believes their love is worth fighting for, especially since his heart knows the big, bad wolf is really a prince in disguise. 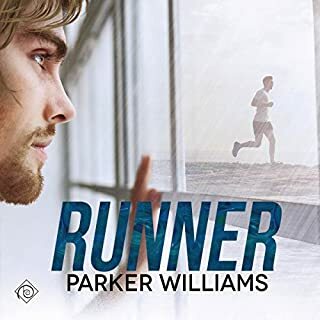 Matt Bowers' life ended at 16, when a vicious betrayal by someone who he should have been able to trust left him a shell of himself, fighting OCD and PTSD, living in constant fear, and always running. When he buys a remote tract of land, he thinks he’s found the perfect place to hide from the world and attempt to establish some peace. For 10 years, he believes he’s found a measure of comfort, until the day a stranger begins to run on Matt’s road. When his three-year-old daughter is kidnapped, Eric Wilson doesn't have many options, and time is running out. With nowhere else to turn, he reaches out to his ex, influential businessman Brock Vencenza, whose money and contacts might be able to save Josie. Brock never got over Eric's loss, and he's more than willing to help when Eric needs him most. 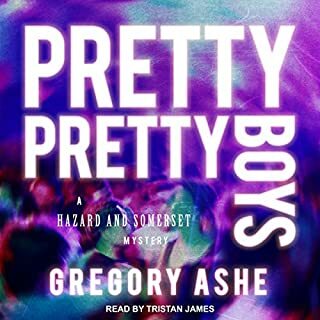 Together with law enforcement and private security, they embark on a twisting investigation to find the little girl - and who wants to hurt her and destroy both men in the process. excellent narration of a great book. In the spring of 1995, Nate Cartwright has lost everything: His parents are dead, his older brother wants nothing to do with him, and he's been fired from his job as a journalist in Washington, DC. With nothing left to lose, he returns to his family's summer cabin outside the small mountain town of Roseland, Oregon, to try to find some sense of direction. The cabin should be empty. It's not. Narrator Michael Pauley Blew it out of the Water! After quitting his teaching job on the heels of a scandal, Beck Davis moves to the house his grandmother left him in Ames Bridge. He finds the town stifling, but it's a quiet place to hide while he regroups. Or so he thought. Chubby geek Jimmy Zebulon’s heart broke the day his high school crush, Danny Parker, looked on as his teammates tormented Jimmy. Fifteen years later, Jimmy is long gone, and from his ashes has risen Graham Swann, a movie-star-handsome law firm owner. Graham thinks Jimmy and his past are long forgotten - until attorney Dan Parker shows up for his first day of work. Getting injured playing college ball was the best thing that ever happened to Dan. It turned his future in a better direction and allowed him to emerge from the closet that trapped him. Revenge isn't always so sweet. Drew Drummond might call himself a psychic tarot reader, but he doesn’t believe in the supernatural. The business was left to him by his grandmother, and seemed the best way to rise above the chronic criminal behavior of the Drummond family. Being gay only makes finding love more difficult. When Cliff Garcia, Drew’s crush from his teenage years, moves back to town and joins the police force, Drew doesn’t think he has a chance. After all, the skeptical cop considers Drew’s profession on par with professional con men. Rescued from slavers, healer novice Jaime Buchanan finds himself alone and free in Pyrderi, a kingdom of magic, mythical creatures, and a culture as open and kind as his homeland was cruel and close-minded. Despite his rescue, Jaime is not left without scars, both mental and physical. Traumatized by his experience and hiding his gift, Jaime struggles to earn his place in the kitchens of Angharad Palace, the heart of Taliesin City. His former life as a student of the healing arts leaves him at a disadvantage in the kitchens, and his damaged state is becoming more apparent by the day. When his best friend overdoses, Christie resolves to take a break from the city. He heads to a small house in Lancaster County, Pennsylvania to rest, recoup, and reflect. But life in the country is boring despite glimpses of the hunky silver fox next door. When Christie's creativity latches onto cooking, he decides to approach his widower neighbor with a plan to share meals and grocery expenses. David agrees, and soon the odd couple finds they really enjoy spending time together. A love story worthy of an old movie...with a new twist. Artie needs a hero, a man like those he's always revered in Golden Age films. His drug-dealing jerk of a roommate got him arrested, and since his savior isn't likely to sweep in and save the day, Artie calls a bail bondsman. 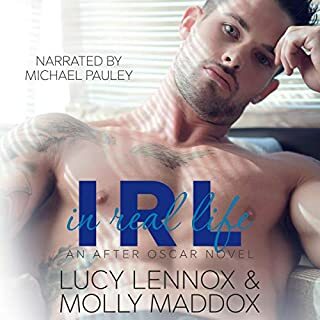 August has always imagined himself a hero from a black-and-white movie, but he's never found a man willing to let him play that role - at least not until he gets the call from Artie. This was a fun "farce" as Arty seems to get himself into more trouble every time he tries to make it better. August is such a calm presence in a sea of crazy. This was a fun book to listen and I this story has all the great elements of a great comedy. Sweet fun story about an old fashioned guy who just wants a partner who will love and look after him who meets his Mr right in the most unusual of circumstances. That’s what you get with August and Artie. It’s a bit of a farce and quite unlikely but when you just need something to raise a smile this did it for me. I thought the Black Bear ranch, featuring towards the end of the story, was familiar. If you’re wondering about the story of Neil and Cole the black bear ranch it can be found in Do You Trust Me. Unfortunately not available in an audiobook. As always Kenneth Obi provides a strong narration. He gives August the strong Hollywood Hero vibe and Artie the innocence that pulls it all together so well.